Tropical gardens, fruit trees and bonus ocean views. 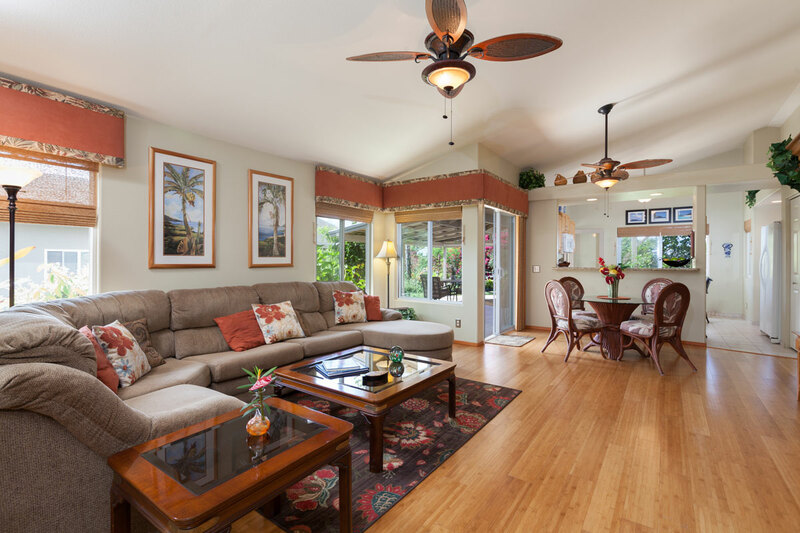 With bamboo flooring and upgraded kitchen and bathrooms, there isn’t anything you’d need to do to be comfortable in this little gem located in Keauhou View Estates. Wrap-around lanai allows for outdoor access from the great room, kitchen and master bedroom. Solarhart hot water system and Photovoltaic system has been installed to keep your electric costs minimal. Split zoned AC also included to keep you comfortable on those hot summer days. Location, location, location! This home sat on the market for a total of four short days and sold for whopping $16,100 over asking price. It was in great condition had very tasteful upgrades and a nice open floor plan in the very desirable Keauhou View Estates.